This strategy brief is one of a series of briefs exploring strategies for financing supports and services that help foster youth make successful transitions to adulthood. It was written by The Finance Project with support from the Foster Care Work Group. 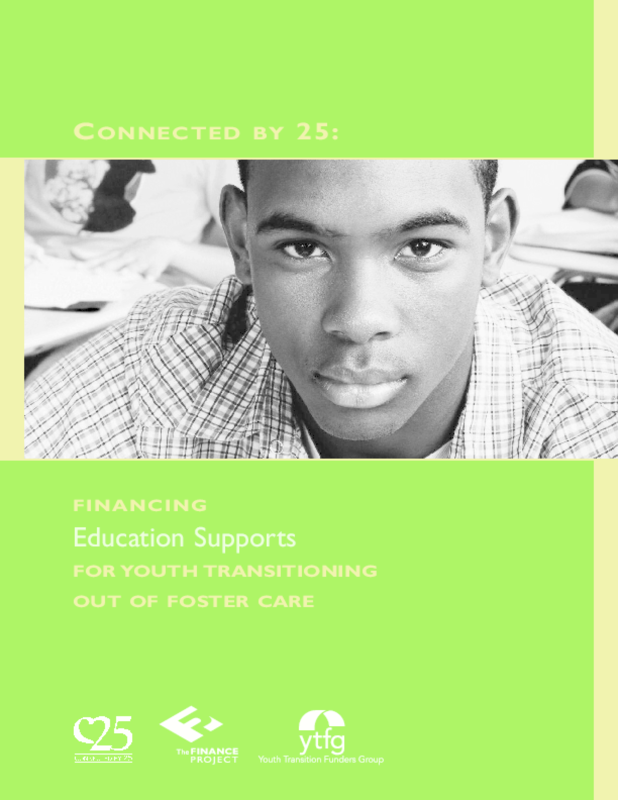 The Foster Care Work Group (FCWG) is one of three work groups of the Youth Transition Funders Group (YTFG), a collaboration of foundation leaders dedicated to improving the lives of the nation's most vulnerable young people. Foundation leaders participating in the YTFG are committed to achieving a common vision -- ensuring that vulnerable youth are connected by age 25 to institutions and support systems that will enable them to succeed throughout adulthood. The FCWG brings together foundation leaders with a shared interest in preparing youth in foster care for their transition out of the child welfare system and providing them pathways to lifelong economic well-being. Copyright 2008 Youth Transition Funders Group. All rights reserved.